The ICE Council is comprised of a dynamic group of business and community leaders, opinion shapers, and innovators from the Buffalo Niagara region. This select group of approximately 25 high profile individuals meets on campus on a quarterly basis to be introduced during each session, to exceptional faculty and staff – and their work within the Buffalo State community. They are informed of various campus developments and initiatives about which they might be otherwise unaware. Council members, in turn, share news about their own activities and emergent projects. In this way, networks form, partnerships take shape, and goodwill is promoted.  The ICE Council was designed to create constructive alliances between Buffalo State and our non-academic community. ICE sets the stage for opportunities for increased levels of public/private partnerships that enhance and complement external funding initiatives. The Council meetings also function as an invaluable communication tool for keeping campus and community leadership informed and apprised of issues of shared interest and promise. Meetings are scheduled in the morning (8:00 AM) to accommodate busy schedules and are open to all.